Who: The Royal Poinciana Plaza. What: Unigami Art Installation. Where: The Royal Poinciana Plaza Palm Beach. Highlights: The Royal celebrated its first art installation, featuring the work of Nathan Slate Joseph, and curated by Ben Leon, with cocktails in the courtyard. “If you have really good bread, you have a really good sandwich. It’s the same with tortillas and tacos,” says Scott Linquist, co-founder and executive chef at Coyo Taco, a new Mexican taqueria in The Royal Poinciana Plaza. Since opening its first location in Miami’s Lynwood neighborhood three years ago, Coyo has gained a cult following for its unique combinations (think huitlacohe and mushrooms, masa-crusted octopus, and Michoacan-style duck confit) and DJ sets by the likes of Diplo hosted in its secret back bar. It all starts with the freshest ingredients and Linquist’s hand pressed corn tortillas, made from a mixture of two masas: stone-ground nixtamal and maseca. “The nixtamal gives the tortilla its traditional flavor because it’s cooked with cal, a powder limestone that softens the hulls,” he explains. “The maseca gives the tortilla its soft texture, so the combination of the two is perfect.” Linguist brings to the table more than 20 years spent cooking Mexican cuisine (he was previously the national chef of Dos Caminos in New York City) and traveling throughout the country. As a result, his tacos display a marriage of traditional and contemporary nuance: The fillings honor generations-old recipes while the toppings create a complete flavor profile. The five house-made sauce, ranging from mango habanero to salsa verde, make even single bite sing. In addition to tacos, the Palm beach location offers guacamole, quesadillas, burritos, bowls, and extra dressed-up corn on the cob churros, all served in an airy front dining space. And like the Lynwood location, a secret bar in the back slings margaritas, beer, and mezcal. In the coming months, Coyo Taco plans to roll out brunch and hopes to accommodate a late-night crowd with a full cocktail menu. Showstopping fashion has long been a source of inspiration for Beth Buccini, founder of Kirna Zabête. Voted “Best Dressed” in high school, the Virginia native parlayed her keen eye for style into a career in magazines, first as the assistant fashion editor at Mirabella and then as fashion editor at New York Magazine. She went on to open Kirna Zabête, a favorite of fashion’s in-the-know crowd, in Manhattan’s Soho neighborhood in 1999. 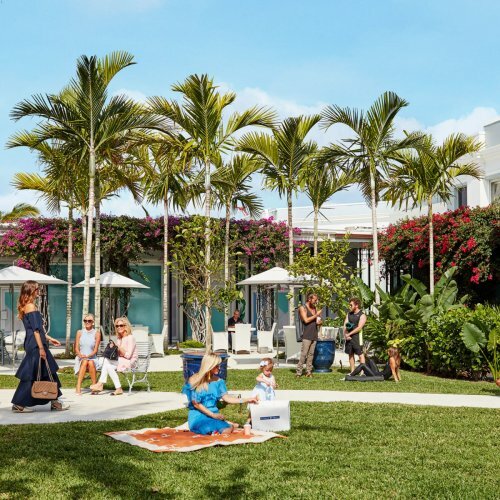 Since then, the store has added three more locations—including a newly minted Palm Beach outpost—to share Buccini’s handpicked pieces from big-name designers such as Gucci and Christian Dior, as well as up-and-coming lines like Attico and Monse. 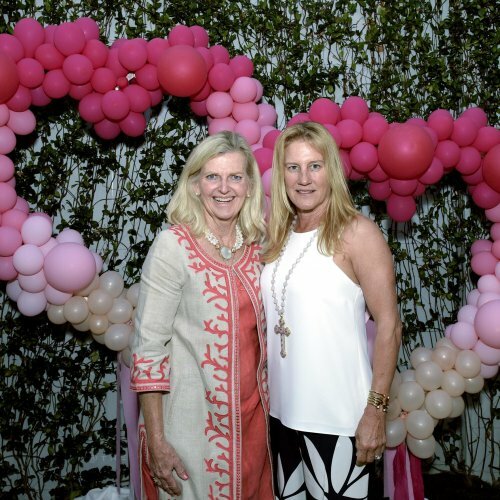 With parents and in-laws who own homes in Palm Beach, Buccini, her husband of 17 years, and their four children are frequent visitors to the area. Now, with her luxe retail space in The Royal Poinciana Plaza, she’s eager to lay down roots of her own. Favorite Fashion Designers: Rosie Assoulin and Johanna Ortiz. I love how strong, feminine, and beautiful their clothing makes women feel.